Discussion in 'Smoking Accessories Q&A' started by munchieguy, Apr 23, 2010.
hello blades, i am looking to buy my friend a new diffy for his roor. i am looking for the diffy with the best filteration. i dont know alot about diffy's but i am currently considering the stoneglassworks diffy on alt and the alex k showerhead on ALT. which provides more flow? i currently have a closed end sheldon black diffy (no big hole at the bottom) with 21 holes and a toro ice pinch slide. gives me alot of flow and filteration, how do the sgw and alex k compare? 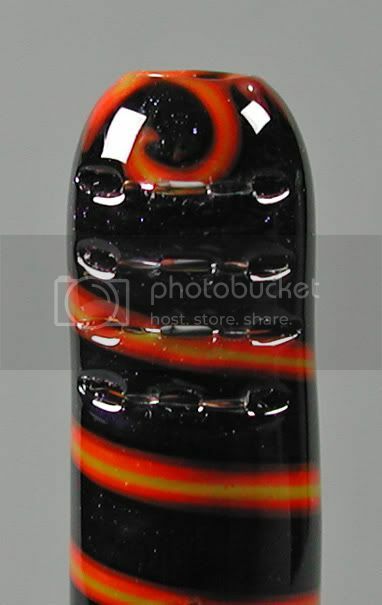 also i am looking at a new ben wilson slide , should i get it or stick to the toro? is there any noticable difference? If he has a beaker bottom I'd suggest the Alex K showerhead. Straight tube I'd go with a standard RooR diffy. he got a straight. why cant you out showerhead on beaker and not straight. Might want to look into the SG grid diffusers as well. Anyone know who else makes them and can share more detailed pics on how it works and how it is made? If his joint is 14mm your options are gonna be pretty limited, peace. Perfect, I've used Alex K and absolutely fell in love with it, my second one is on the way. It is sealed on the end. I haven't used SGW but usually hear the flow is more restricted on it compared to the Alex K, even tho I believe the newest version of SGW has a hole at the end of the showerhead. I have never used a grid diffy, but it looks very nice as well. If you guys have no showerhead diffy amongst yourselves I highly, highly recommend it. If one of you does have a showerhead diffy, I'd prolly try to get a grid diffy just to have something new and you guys can report back here with your findings, peace. just go with one of the shower heads and you'll be fine. I personally would go with something with more flow like the Alex K than the SGW for example, but that's just me. SSFG also makes one for like $35.